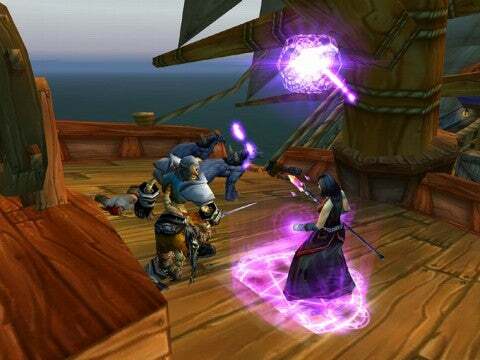 Are you a fan of Web-based massively multiplayer online (MMO) games? If so, Macworld wants to hear from you—please respond here or send us some e- mail and let us know. Of course, MMOs are a popular pastime on the Mac—witness the huge success of World of Warcraft, for example, or burgeoning interest in EVE Online, Pirates of the Caribbean Online and City of Heroes—all playable on the Mac platform. If you require no explanation for what’s going on here, chances are you’re a fan of massively multiplayer online games. And if you are, we want to hear from you. But there are MMOs that don’t actually require you to download any software to play, as well. zOMG from Gaia Online is on example. Dofus is another. And thanks to their basis in technology which runs natively on the Mac, Mac users can play alongside PC-using gamers unimpeded. Which brings us to the point of this post: Mac users are spending free time playing Web-based MMOs. If you’re one of ‘em, please make yourself known. Tell us what you’re playing and how you like it.